US Blanks 804SP with 1/8″ Basswood stringer. 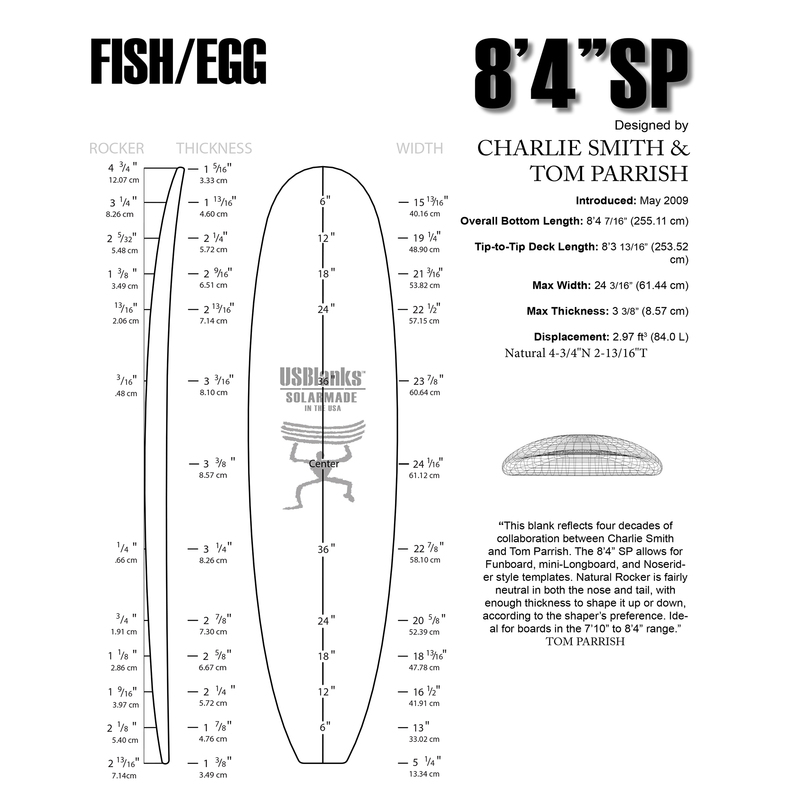 Designer Comments: This blank reflects four decades of collaboration between Charlie Smith and Tom Parrish in one form or another. 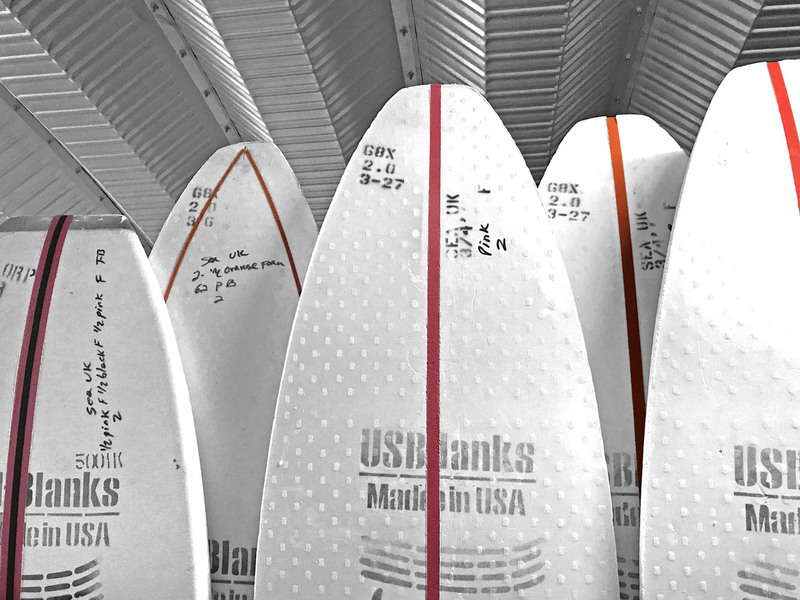 The 8’4” SP allows for funboard, mini-longboard and noserider style templates. 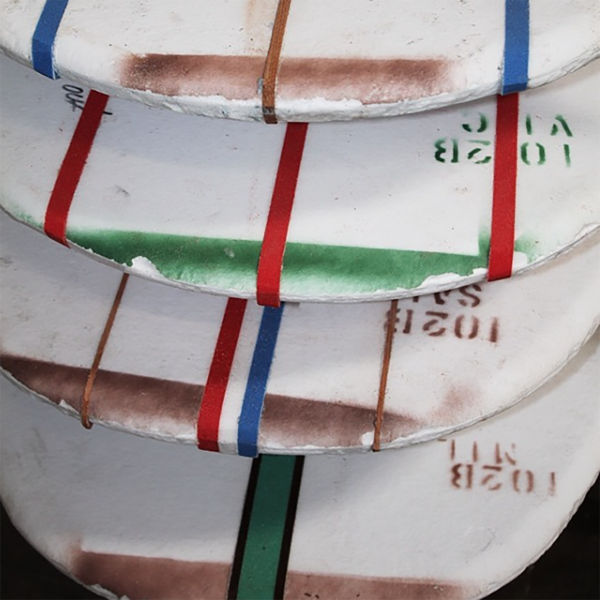 Natural rocker is fairly neutral in both the nose and tail, with enough thickness to shape it up or down, according to the shaper’s preference. 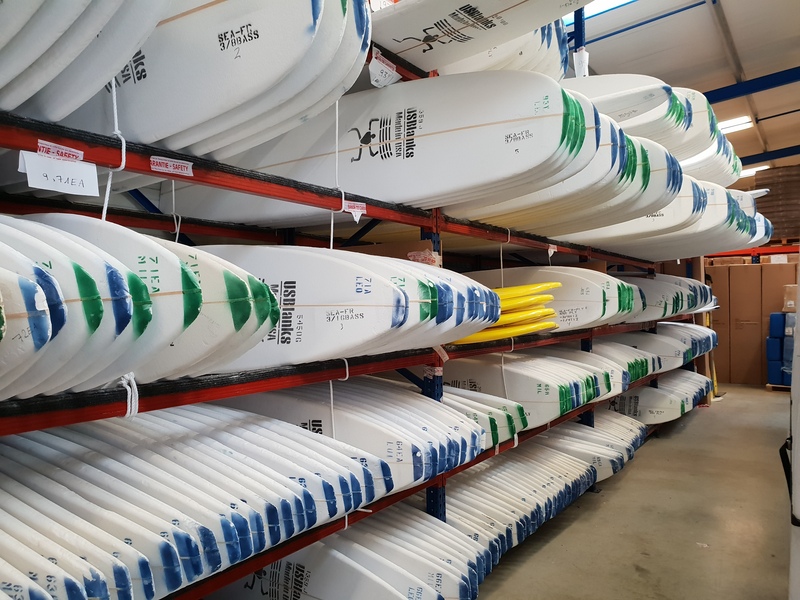 Ideal for boards in the 7’10” to 8’4” range.